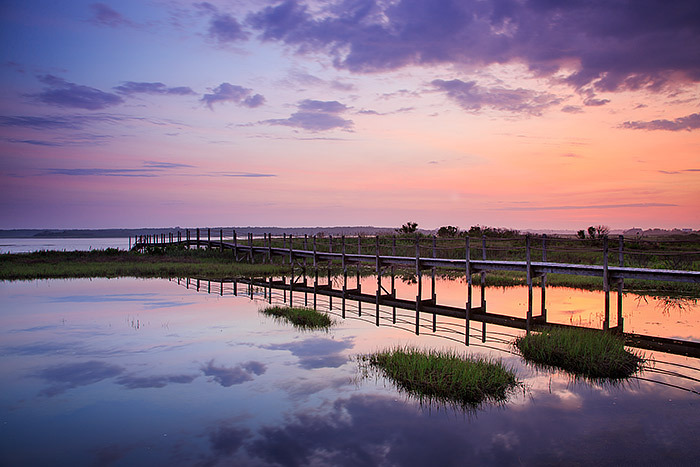 A tranquil and peaceful sunrise unfolds over Shinnecock Bay and Southampton, New York. There had been a lot of rain that had fallen on the beach and bay this week, but the rain finally parted and a beautiful pastel sunrise greeted the new day. . Photo © copyright by Thomas Mangan.